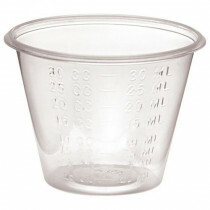 Medicine Cups are portion cups, soufflé cups, or measurement cups that are used for dispensing medications. 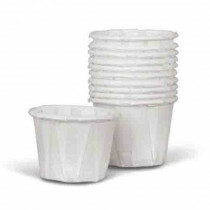 They are small cups that often hold only 1 to 2 fluid ounces such as the Premier Plastic 1 oz medicine cups. 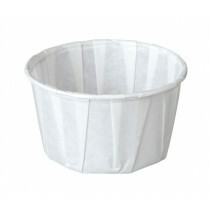 They are manufactured with plastic or paper and are disposable. 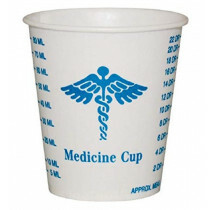 Paper medicine cups are often used for dry medications. 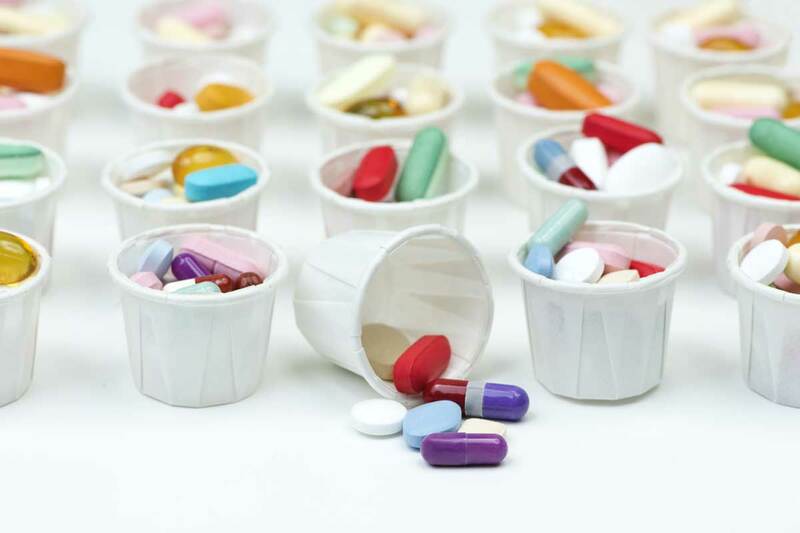 Plastic is the favorite for liquid medications. 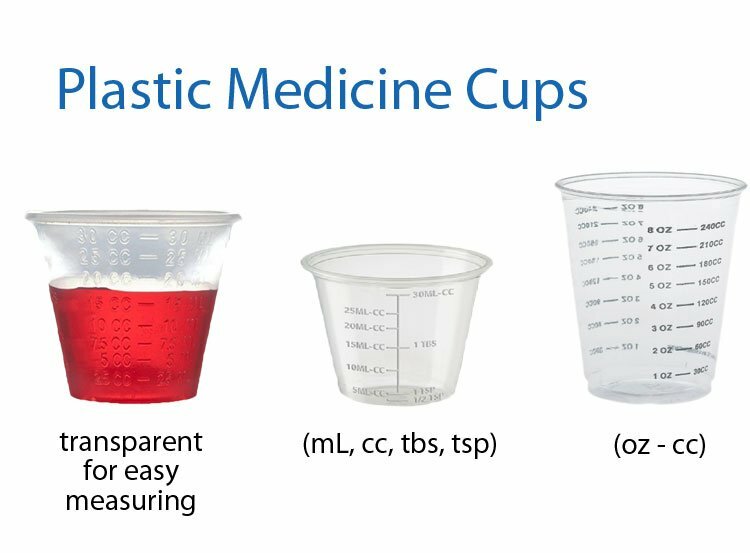 Small plastic medicine cups are more popular because they are usually transparent and have graduated measurements marked on the side. 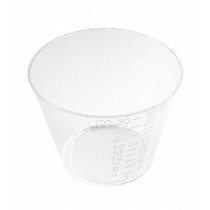 These graduated measurements make it easier to measure the correct dosage level. 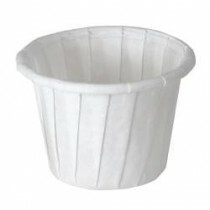 Paper souffle medicine cups are most often used to dispense pills, tablets, capsules or dry powder medications while plastic cups are used to dispense liquid or dry medications. 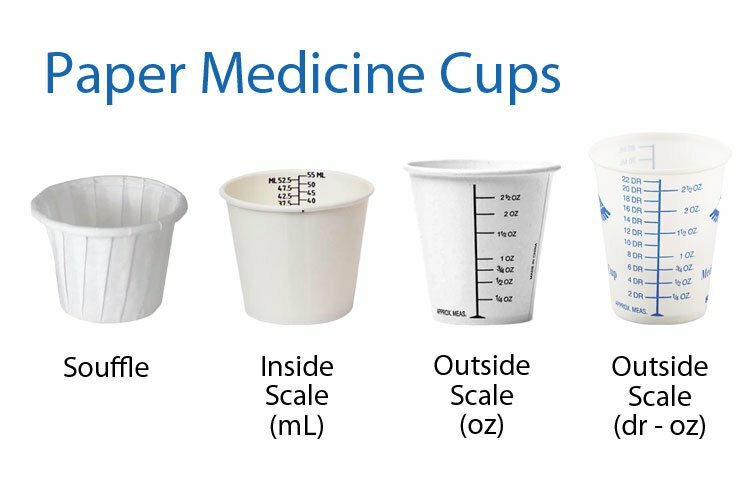 Below is a list of common medicine cups. 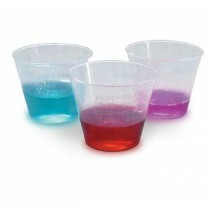 Nearly all medication cups are disposable and inexpensive. 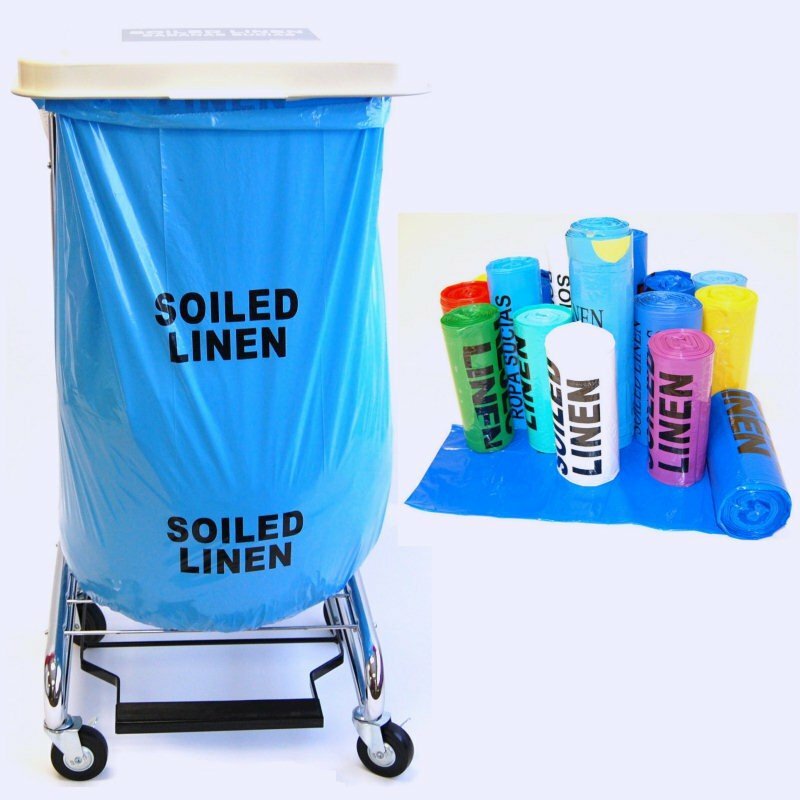 The disposable factor makes it safer for the patient to protect against cross-contamination, including residue from a previous dosage that when mixed with another medication can be very harmful. 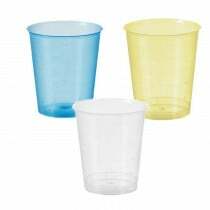 Disposable cups also mean no repetitious cleaning for next use. 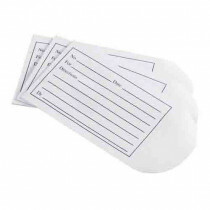 Graduated measurements on plastic and sometimes on paper are calibrated to display volume. The volume may be displayed in several different formats, including metric, American standard, and British Imperial. 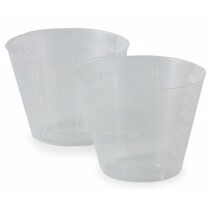 The 1 oz medicine cup and the 2 oz medicine cup are the most popular. 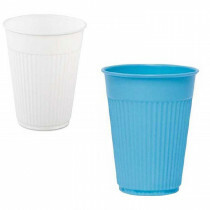 Many manufacturers use two or more of the following measurement variations printed on the side of the cup. 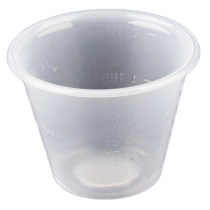 milliliters – 1 cc, 0.0352 ounce, 0.2705 dram, ¼ teaspoon. 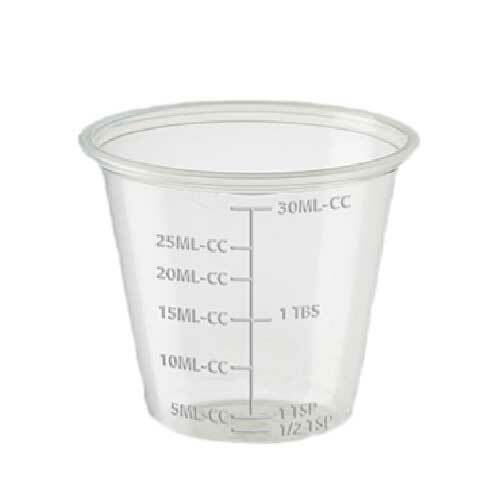 centimeters – 1 mL, 0.0352 ounce, 0.2705 dram, ¼ teaspoon. 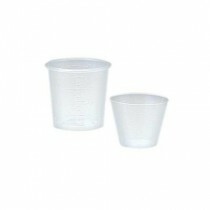 drams - equivalent to 1/16 ounce, commonly used for measuring powders. 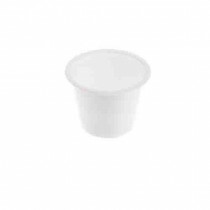 teaspoons – equivalent to 1/6 fluid ounce, 1/3 tablespoon, 5 mL. 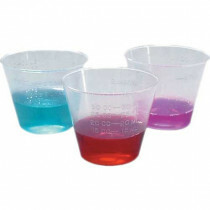 tablespoons - equivalent to 3 tsp, ½ ounce, 15 mL. Teaspoon and Tablespoon measurements are considered the least accurate.